Rodney Court is a derelict tower block in Manchester which was purchased for development by Urban Splash. Paul Ashton designed Rodney when he was working for Union North. 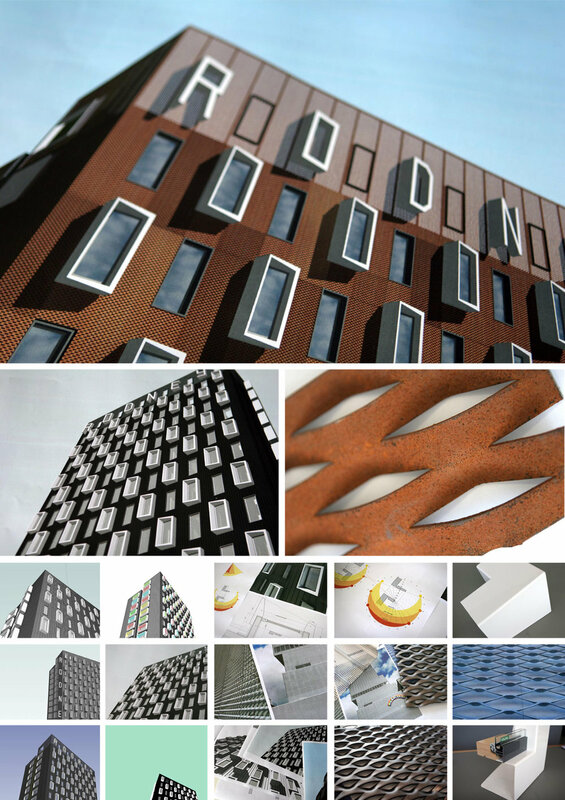 Union North were an innovative design practice that had a strong track record of undertaking imaginative refurbishments of derelict tower blocks. In the popular imagination the 1960's Local Authority tower block is an unloved building typology. This is often an unfortunate consequence of the limited budgets with which they were originally constructed and long term neglect. We believe that there is nothing inherently wrong with urban high-rise living. We ceaselessly research and develop innovate approaches to high-density living and the reuse of urban brownfield sites. The original building was to be reduced to its reinforced concrete skeleton and re-clad. This approach had numerous advantages. Firstly the embodied energy of the structure is retained, the removal of the internal partitions allows for the floors to be re-planned which allows for an internal layout that is a lot more efficient both spatially and economically. 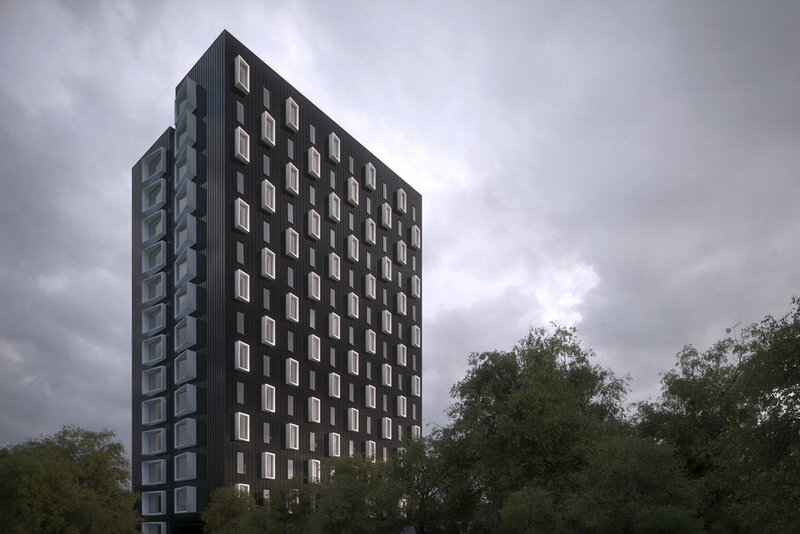 The new façade allowed the thermal performance of the envelope to be drastically improved and allowed us to use a design language that shed the cultural baggage that leads to negative attitudes towards the urban tower block. Each apartment featured a highly considered services solution which gave an Ecohomes rating of Excellent.